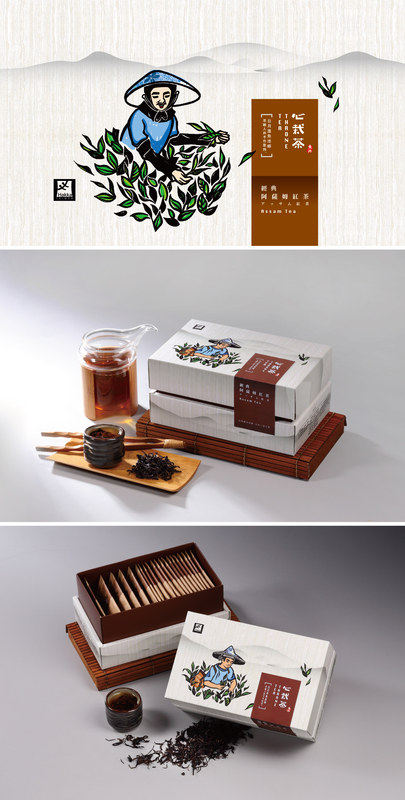 The organic black tea from Nantou City was grown with the power of nature and the Hakka spirit in the unique tea growing environment. Hoping that flashing red color and rich aroma of black tea, can ease the daily pace of compact, brings warmth and vitality in life. The visual was design with traditional engraved prints, represent the local historical trajectory. The Fortress and the chinese traditional dragon tell endless vitality, showing the strong and hard-working tough of Hakka spirit. The combination of traditional forms monochrome prints and the use of complex mediums, hand made reflect the vitality and the attitude of life – “Hakka cultural heritage and return to the beginning of the heart"